Barcelona’s former industrial district, Poblenou, is becoming the place to be for many locals as innovative artists, new restaurants, concept galleries and other creative initiatives are looking into building presence in this alternative and spacious neighborhood. 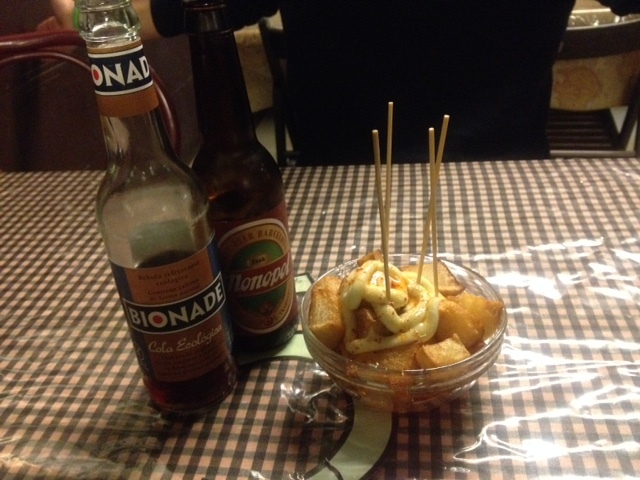 Read our guide to the best places to enjoy tapas while exploring the streets of Poblenou. Located on Rambla del Poblenou, this relaxed and atmospheric restaurant offers a chalkboard full of different tapas dishes for the hungry ones. The food is delicious, playing with simple but tasty ingredients combining old traditions with new, innovative ways of serving and presenting tapas. The seafood is delicious and the house specialty; eggs à la 58 deserves an extra mention. Belgian beer on draft and a selection of great wines will further enhance the positive experience El 58 and its friendly staff is ready to offer to its guests. Make sure to arrive early as the place gets busy, especially during the weekends. 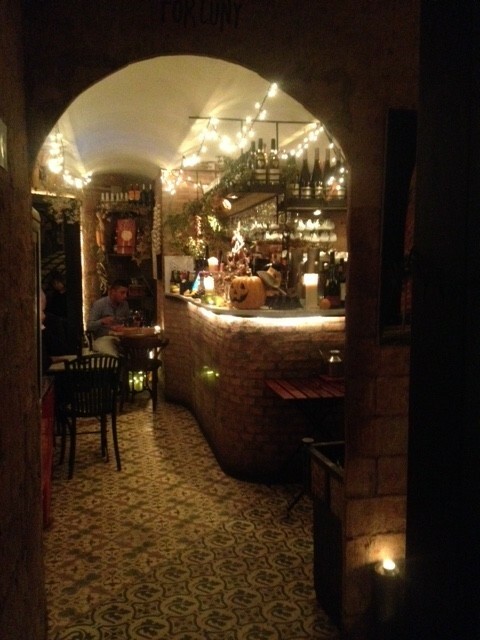 Fun and authentic bar-restaurant Monopol offers traditional Catalan dishes in many shapes and forms. The place has a great selection of tapas, varying from multiple vegetarian options to meat and seafood. If you like to play cards or boardgames, Monopol is one of the rare places in Poblenou where this is possible while enjoying your food. The atmosphere resembles that of a friend’s living room; cozy and warm. Try one of the delicious pies for dessert, which is made in house and is absolutely delightful. 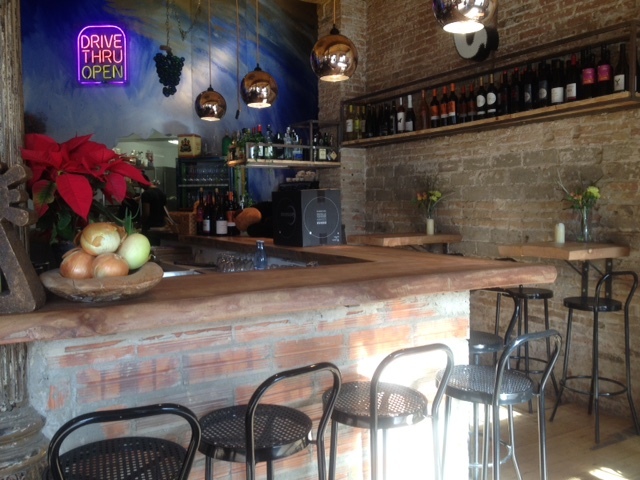 This attractive wine bar just off the Rambla del Poblenou is a great choice for a tasty tapas and a glass of some of the fantastic wine Alaparra serves. The dishes combine traditional elements served with seasonal ingredients and with the help of the friendly waiter it’s easy to select a wine that perfectly complements your choice of food. If this is not enough wine for you, Alaparra’s store, located just next to Llacuna metro station offers a selection expanding from 250 different local and international wines to tasty dairy, meat, and craft beer. The store also organises wine tastings from time to time; to know more, visit Alaparra‘s homepage. This is Poblenou; hidden, hip and fun. Catacroquet has truly made its mark on the districts’ offering when it comes to delicious tapas, and as the name indicates, croquettes are the specialty of Catacroquet. This spacious, elegant bistro does offer other dishes as well; the menu is short but concise and every plate on it has been carefully crafted to quasi-perfection. Delicious brews on bottle for beer lovers, gins ready to be poured to accompany your tonic and a relaxed, fun atmosphere guarantee a good evening, or the start of it. Popular amongst the locals, El Santet invites its guests to its comfy outside terrace and doesn’t disappoint with its wide selection of different, traditional tapas. El Santet is lively, less touristy spot for grabbing a drink and a bite. If you happen to be around for local breakfast time, do try El Santet’s version of a crispy bikini; a grilled sandwich filled with ham and cheese. El Santet is especially charming in the summer time and attracts many guests due to its great location; the bar is situated literally one block away from the buzzing Bogatell beach. Charming, warm and intimate are three adjectives that describe Can Recasens. 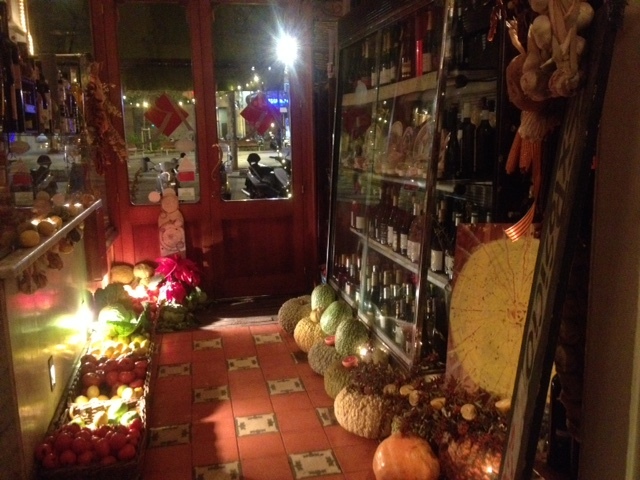 Situated in the heart of Poblenou, Can Recasens is a long lasting favorite restaurant. Special mention goes to the fantastic cheese and cured meats selection served on a traditional wooden plate accompanied with an impressive selection of both reds and whites. The atmosphere is seducing and while the friendly waiters serve the tables of this multi-room restaurant, the back room offers tranquil live music and intimate seating to those who want to enjoy a dinner in a romantic candlelight. Local, traditional and easygoing are the magic three words for La Tasqueta de Can Felipa, located just next to a popular civic centre with the same name, Can Felipa. 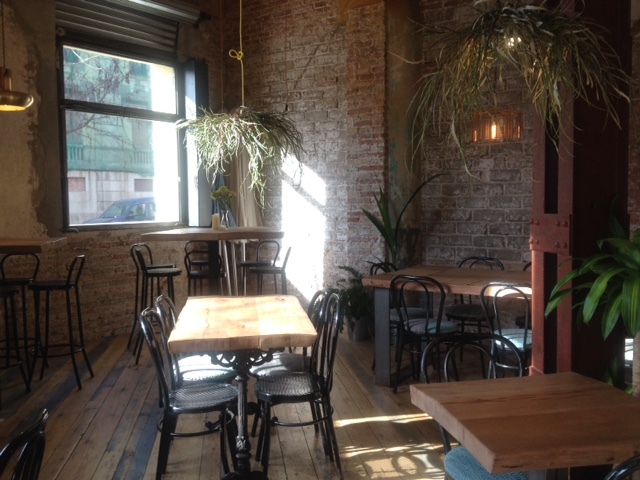 What makes this place worth the visit is the great outside terrace combined with a chilled atmosphere. 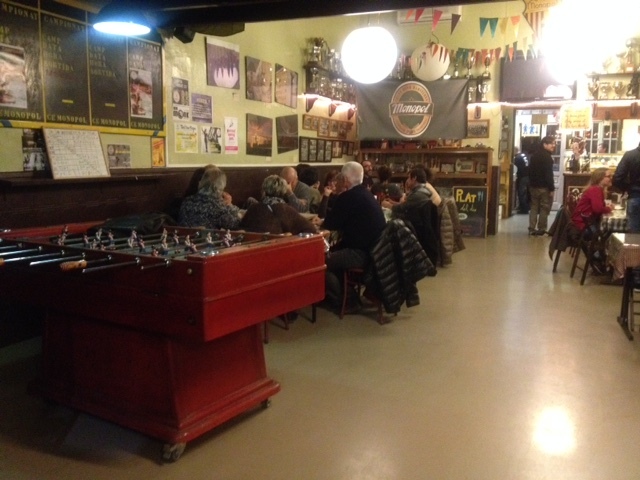 Less touristy than some of the bars on Rambla del Poblenou, La Tasqueta de Can Felipa makes you dive straight into Poblenou’s spirit providing you with a chance to relax with a caña and some traditional tapas.